This week what I am covering it is a little too long for a traditional blog post. 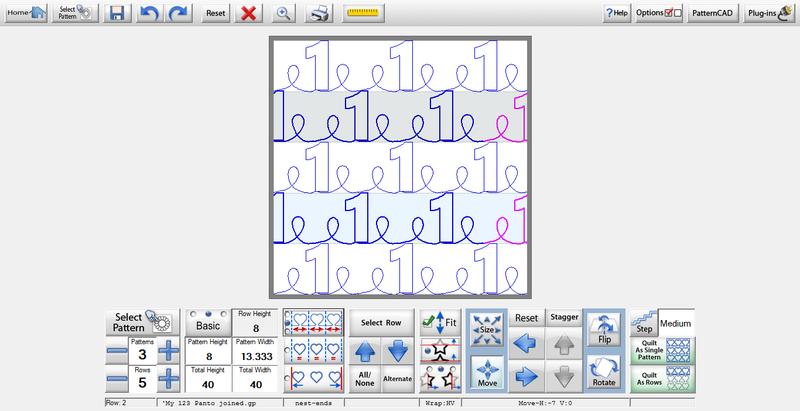 I have created a tutorial on how to use the fonts that come with Quilt Path, link them together to make the continuous designs and make them into a pantograph. I have Quilt Path installed on my laptop. All drawing in the tutorial was done with a mouse. The smooth feature took care of most of my messiness. I think the drawing would be easier with the stylus and tablet, but it is possible to do it either way. You can also tilt your elements to give you a scattered look and this is covered in the tutorial. As always, feedback and comments are appreciated. Ideas for what to cover regarding Quilt Path are welcomed!